It’s that time of the year again! Time to see our family and friends and reconnect over a festive meal, celebrating seasonal holidays. Unfortunately for us raw/vegan/vegetarian folks, our dear friends and family are not always in full support of our lifestyles, which often could cause discomfort for us during such gatherings. Or it could be that despite everyone’s support, we ourselves have a hard time resisting traditional festive meals, that way breaking our long term commitment to healthy lifestyle. Whichever of these scenarios is yours, I have compiled a list of useful tips to help us all stay on our chosen raw/vegan/vegetarian path while also staying happy and thriving during the holiday season. Bringing your own meal to holiday celebrations is always a good idea. However, to avoid offending the organizing party, it might be even a better idea to suggest making a recipe together – “I’ve recently heard of a great raw/vegan recipe, why don’t we make it together?” This is guaranteed to make the hosts curious about the recipe and this approach will keep everyone happy and you – still on your healthy path. Eat a good meal before attending the celebration. When being full with delicious raw/vegan food, you’re much less likely to start indulging into unhealthy festive food. Do yoga daily. This ancient practice will keep you in touch with your inner healthier self and prevent you from slipping off onto unwanted overindulgence. Re-read motivational books / re-watch motivational movies* that inspired you to choose the path your’re currently on. This will refresh your memory on why you are following this lifestyle and will make you less likely to want the wrong foods. Even if it happened, and you ate some of the non-raw/vegan foods – relax. Don’t be too hard on yourself, especially if you’re just at the beginning of transitioning. Instead, focus on preventing going downhill. For that, the very next day, go on a water/herbal tea fast followed by 1-3 days of juice fast. Fasting is an amazing natural healing technique available to us, and it will recover you back to feeling healthy, happy and energetic just in several days! 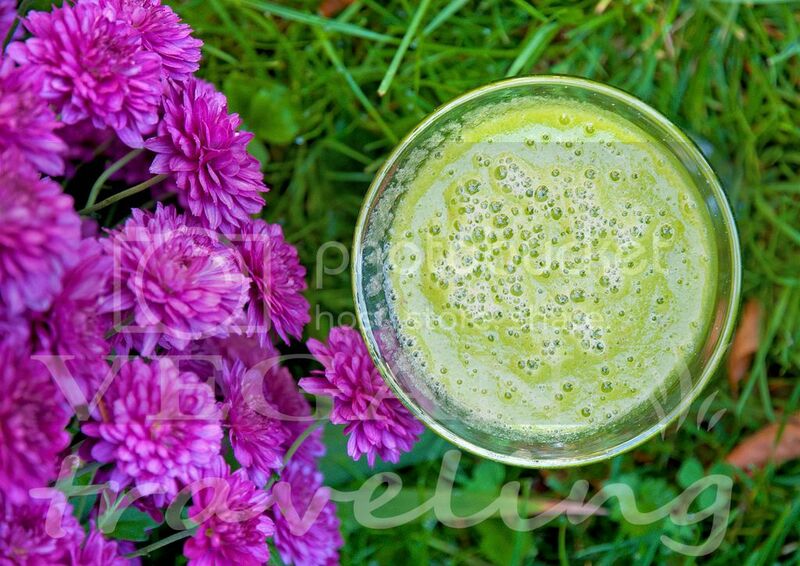 Check out my tips for doing a juice fast here. * The amazing inspirational movies to re-watch before holidays are Earthlings, Cowspiracy, Forks Over Knives. 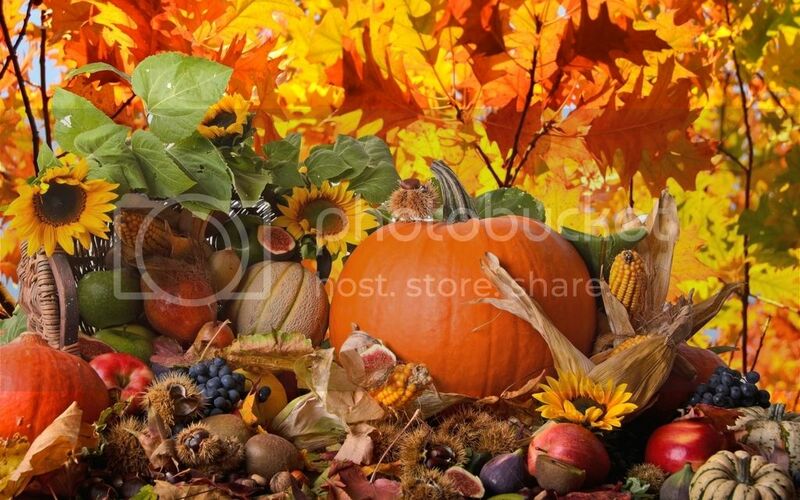 November is so far very rich with the natural food industry progress news. First, WHO announced red and processed meats to be carcinogenics, which by itself is a huge leap forward towards healthier food habits. And now, this article by NY Times talks about “A Seismic Shift in How People Eat” – consumers are more and more switching their preferences towards healthier more natural foods, be it processed products from new natural companies or fresh produce, and moving away from the old established iconic brands such as Pepsi, McDonalds, Nestle. That in turn, forces the big corporations to change their production process to include less hard-to-pronounce ingredients such as “polyglycerol polyricinoleate” to “simple and easy-to-understand ingredients like fresh milk from local farms, roasted California almonds, cocoa beans and sugar”.” All that is happening due to today’s much more educated consumers, who, voting with their dollar, are supporting new companies’ products with simpler natural ingredients. As a result, “General Mills will drop all artificial colors and flavors from its cereals. Perdue, Tyson and Foster Farm have begun to limit the use of antibiotics in their chicken. Kraft declared it was dropping artificial dyes from its macaroni and cheese”. Per capita soda sales are down 25 percent since 1998, mostly replaced by water. Orange juice, a drink once seen as an important part of a healthy breakfast, has seen per capita consumption drop 45 percent in the same period. It is now more correctly considered a serious carrier of free sugar, stripped of its natural fibers. Sales of packaged cereals, also heavily sugar-laden, are down over 25 percent since 2000, with yogurt and granola taking their place. Frozen dinner sales are down nearly 12 percent from 2007 to 2013. Sales per outlet at McDonald’s have been on a downward spiral for nearly three years, with no end in sight. Sales of fresh prepared foods have grown nearly 30 percent since 2009, while sales of center-of-store packaged goods have started to fall. Sales of raw fruits and vegetables are also growing — among children and young adults, per capita consumption of vegetables is up 10 percent over the past five years. All that shows a tremendous picture of what’s happening in the market and in people’s approach to eating today! It clearly indicates that all those informative movies such as “Forks Over Knives”, “Earthlings” and “Cowspiracy” are being watched and their message is picked up by people contributing to making this grand change happen. So awesome to know that the positive change is here and it’s happening every day, contributed to by all of us, making smart consumer choices and supporting the good cause and our health. Days are getting shorter and we are receiving less and less light, which in turn often contributes to bad moods and apathy. But did you know that there’s a wonderful vegetable that can help you fight off all of these unpleasant effects of the Fall melancholy? This miraculous vegetable is the very well known broccoli. Being high in vitamins K and A, this veggie helps to maintain our vitamin D metabolism in balance which restores us back to our happy and active spirit. Broccoli is also high in group B vitamins, as well as essential minerals such as zinc and iron. Apart from offering such amazing health benefits, this dish also works as a great celebratory food for any kind of occasion. I served it for a dinner with friends and even non-vegan people loved it. Cut broccoli into florets and soak in warm water while you prepare the sauce. For the sauce, place all ingredients (less broccoli) into your blender (I used Vitamix) and mix on high speed. Add more water as needed to get liquid sauce consistence. 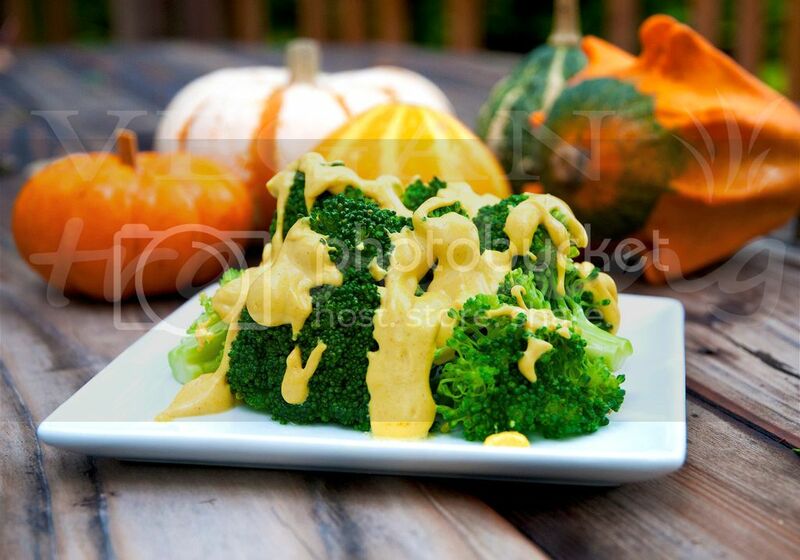 Drain the water completely from broccoli florets, place the florets onto a serving plate and dress with the raw vegan cheese sauce. 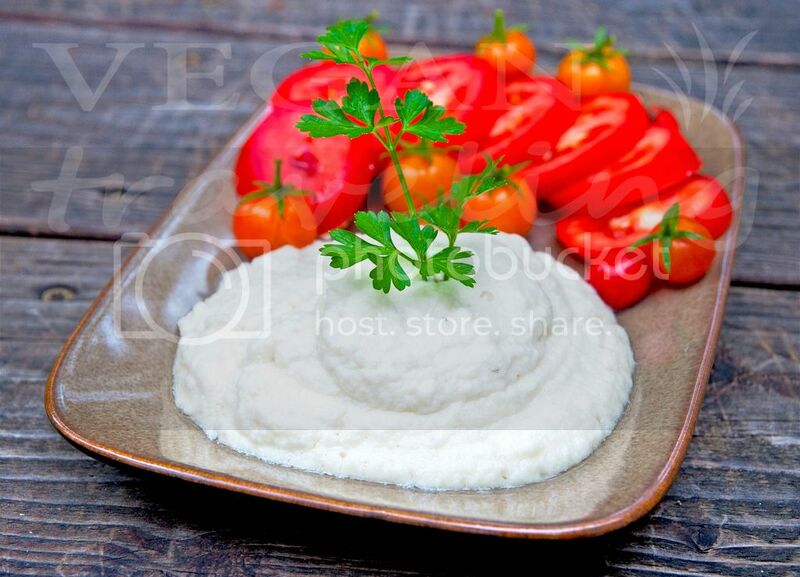 Another excellent raw vegan recipe for the holidays is everyone’s all time favorite – mashed potatoes. And guess what – it is made out of regular white cauliflower! First time I prepared mashed potatoes out of cauliflower, I was amazed with the similarity of the raw dish to its original counterpart. Of course these ‘potatoes’ are not the exact copy of the original, however both the texture and even the taste are quite similar, with a hint of cauliflower. This recipe is super quick and easy to make, and the resulting dish can even be kept in the fridge for a day. Although I found these mashed potatoes to taste much better right out of the blender. Roughly chop cauliflower into smaller pieces, including the stems. Place all ingredients into your high speed blender (I used Vitamix) and mix well on high speed, using food pusher. Start by using only 1 tbsp water, and after blending for some time add water to reach desired consistence. If you blend the ingredients for extra time, the mashed potatoes will work out slightly warmed. 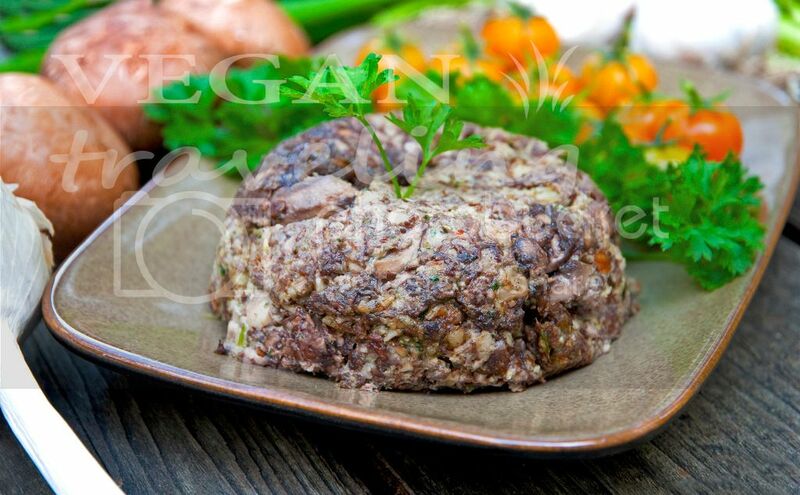 Serve freshly out of the blender with vegetables and mushroom loaf. 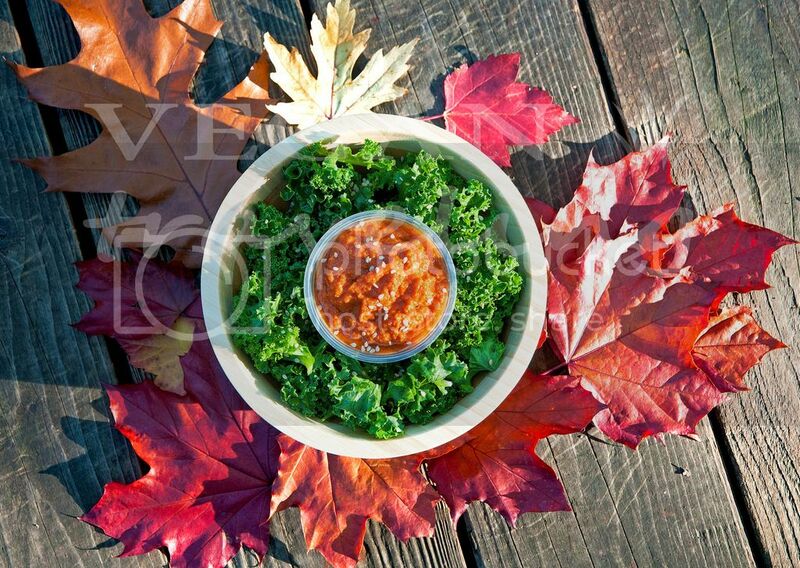 As we are getting closer to the holidays, I’m trying out more fancy raw vegan recipes that would keep us happy even at a festive event with our non-vegan friends and family. This one recipe is very dense and decadent, and works amazingly as celebratory food. It can also be made ahead of time and kept in the fridge for several days, as opposed to most raw vegan foods that need to be eaten pretty soon after making. Shortly speaking, this recipe is by far the best out of all festive ones I tried, and I will definitely be making it for Thanksgiving and Christmas. Roughly chop mushrooms, either by hand or in your blender on lowest speed (I used Vitamix). Place mushrooms into a bowl, add Italian seasoning, flax seed meal, olive oil, salt and tamari. Mix well. Place the rest of the ingredients and water and blend on high speed until you get a nut paste. Add the mixture to the bowl with mushrooms. Stir very well. Shape the loaf with the help of a small bowl or with hands. Dehydrate for several hours or eat raw, paired with fresh vegetables and greens. 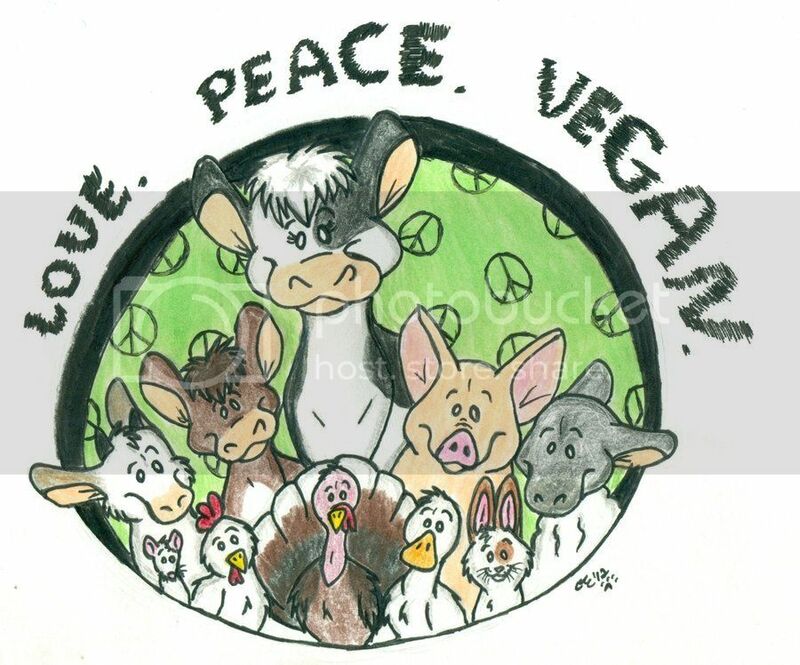 Happy World Vegan Day – November 1st! Going Vegan is actually quite easy – after all, any transition is all about changing our old habits into new ones. Find new recipes on the internet (which are plentiful and yummy!) and make them at home, new one every weekend. Discover how many great fruits and veggies are in supermarket produce section, which you’ve never tried before! Educate yourself by watching Cowspiracy, Earthlings and Forks Over Knives. Go for 2-3 days without animal products, and notice the great improvements in your health. Check out local vegan restaurants and try their delicious food. Find vegan people in your area through Facebook and Meetup groups for support! EAT PLANTS, NOT FRIENDS, GO VEGAN! 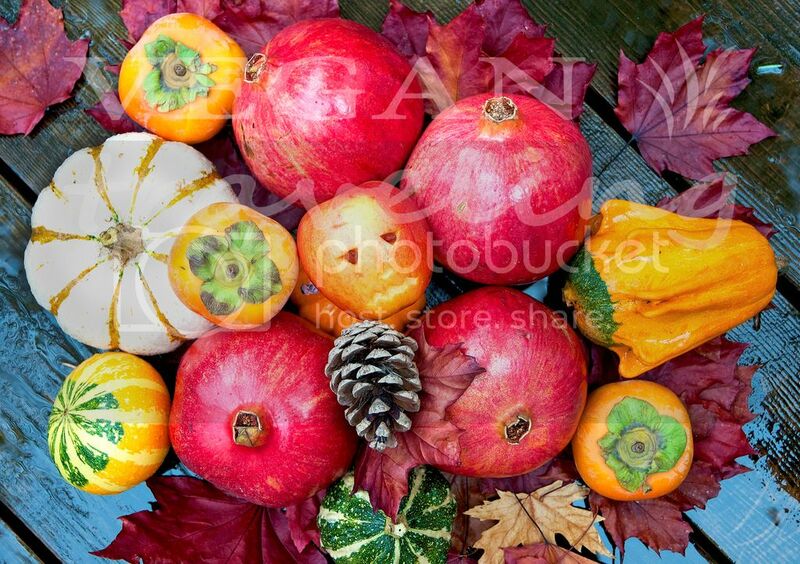 With so many goodness that pomegranates provide us, we should all enjoy those inexpensive abundant red rubies while they’re in season! Another fruit I’m now super excited about is persimmon. The fact is, I had actually gotten myself poisoned with a persimmon back in childhood, possibly due to high pesticides content. Whatever the reason was, I would practically never eat persimmons again and only looking at them would make me feel noxious. Until this year when I went raw vegan. All of a sudden, this Fall I became curious about persimmons and I just loved the taste! It appears that in addition to all the great benefits that came with the raw vegan lifestyle, it also healed my persimmon poisoning memories. And as a result I have discovered a new delicious fruit for the Fall. In addition to being super tasty and just beautiful, persimmon also is high in fiber, vitamins A, C and K (strong anti-oxidants working to improve and maintain our vision), high in potassium (great for our cardio-vascular system), and it also promotes weight loss by being rich in fiber and natural sugars! Ahhh….Pumpkin season is upon us again 😀 So love this orange color everywhere! I’ve hauled some butternut squash and sugar pumpkins over the weekend to make us some delicious Autumn’y soup and desserts. 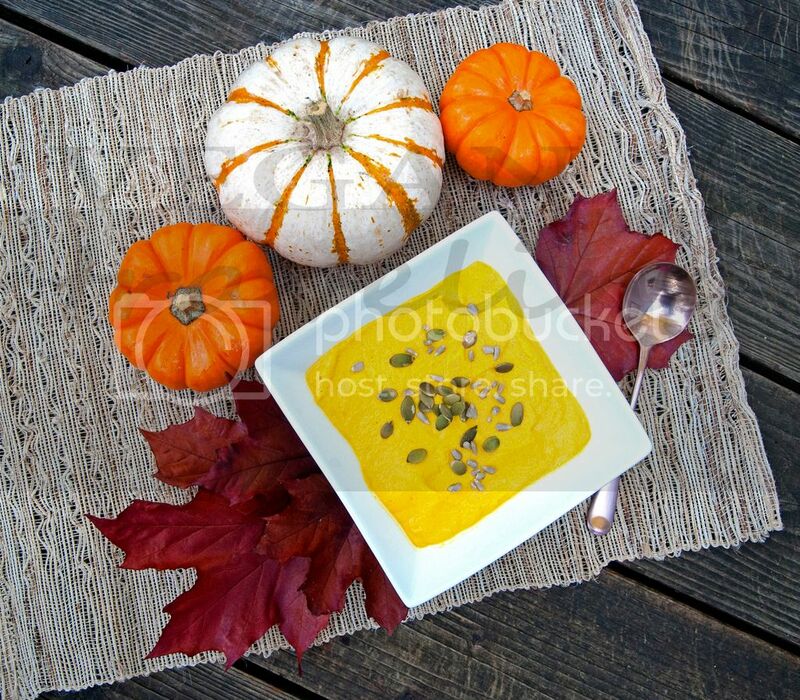 And here’s a picture of the result – creamy pumpkin soup I whipped up today for lunch. Despite being raw vegan, this soup actually warms up in Vitamix significantly to make it into a hearty pumpkin soup so perfect for the Fall weather outside! If you’re planning to use a less powerful blender, you can always just place the soup into your dehydrator for ah hour, or warm it up in a conventional oven at 42 degrees Celsius (107.6 Fahrenheit). Peel and cube the butternut squash or pumpkin. Soaking of cashews is optional if you’re using a powerful blender like Vitamix or Blendtec. However if you blender is less powerful, I recommend to soak cashews and cutting the pumpkin into small pieces. Place all ingredients into your blender and mix on high speed until desired soup like consistency is reached. You might need to add more water. Pour the soup in bowls and garnish with some pepitas and sunflower seeds.